…. and the soul of the tea. WOW!! A lovely looking 1960s teapot! 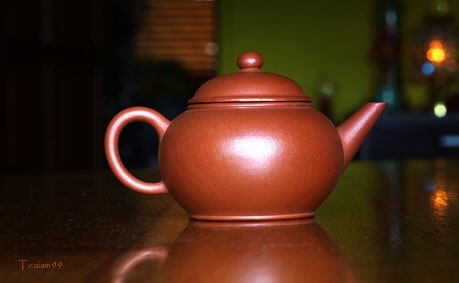 Generally, it says that this style of teapot is a 1960s Pigeon Beak teapot, 12 cup size, Hui Mengchen seal and done in Hong Ni or red clay. This style of teapot is rare and sought after by many teapot collectors. There are a few variations of this style spanning from 60s to 90s to even present day in different seals and filter holes. 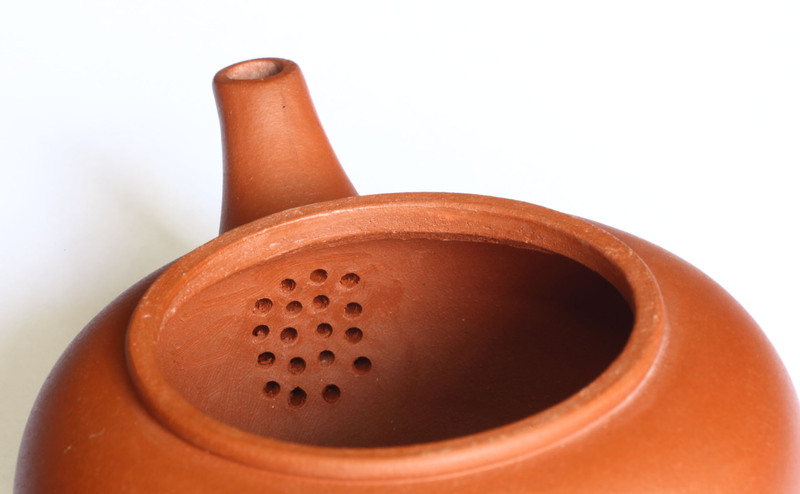 A red clay pigeon beak style teapot with 18 filter holes is the earlier variation done in the 1960s. The puffed lid cover is also an indication of the teapot of that era. Teapot collectors of various level of expertise generally also rely on this information; plus looking at the color of the clay, smelling the pot for chemical smell to draw the conclusion of the pot. This beautiful teapot seems to pass many of the above attributes to conclude that it is the teapot of that era. Unfortunately, this is a newly produced teapot. A pseudo-1960s teapot. The level of detailing to emulate the pot of that era is quite astonishing. The real piece will have very slight differences on the details above. Many would agree that a beginner or intermediate collector may not pick up all the above deviations. 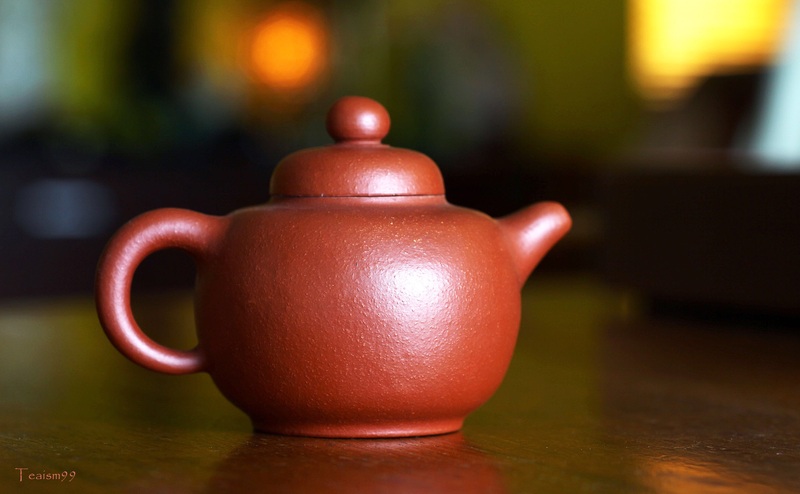 Experts rely on more intricate details and closely guarded tips to authenticate teapot but still many of them got it wrong too often. It is an endless learning process. 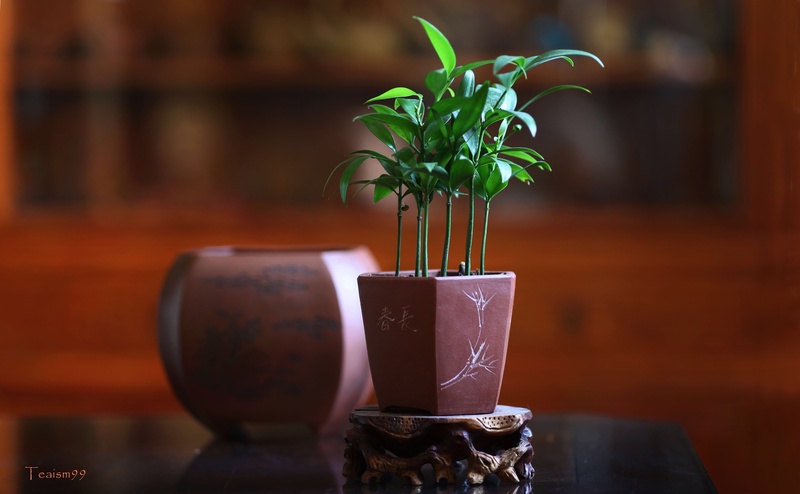 It is OK to pay a pittance for this pot for decoration or as a small planting pot. Some collectors may pay high price and buy this as a real 1960s pot and use it as a teapot to brew tea. 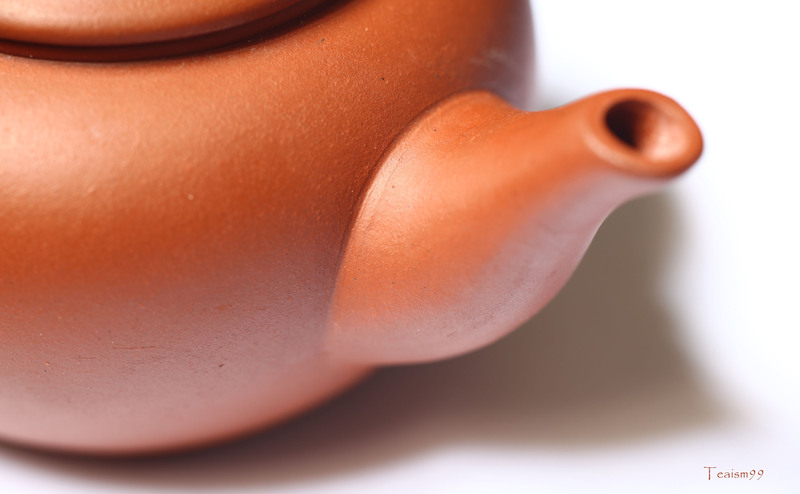 A good advice from a friend who is an expert on teapot is “Study more and buy less”. My favorite advice is “Buy what we know and understand. Don’t just buy what we like”. I found a special pot that is modest and humble. It brews lovely Yancha for me for many years. No words can properly describe its beauty and peace. Masterclass is a tuition session where an expert e.g. in music conduct classes for students. In tea, a tea expert often conducts this teaching by producing the actual tea to share their interpretation of a potentially good tea. Some tea like Puer tea has decades of learning experiences, so the only way to teach the tea is to produce the tea for a lifetime of sessions. I normally call these tea “masterclass tea” i.e. tea produced by tea expert or teamasters. 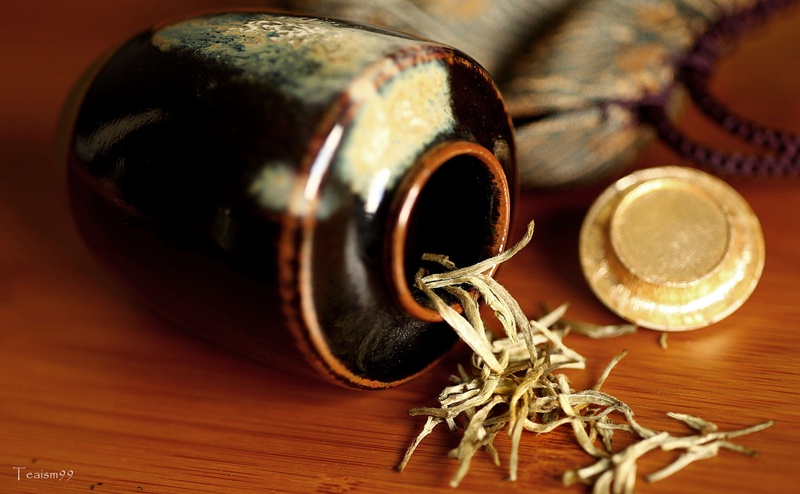 Notwithstanding, the quality of the tea are based on the tea expert understanding and interpretation of an ideal tea. It may or may not be the ultimate tea but the experience gained from drinking the tea over a long period of time is definitely worthwhile. I was fortunate to obtain 2 batches of masterclass Puer tea. 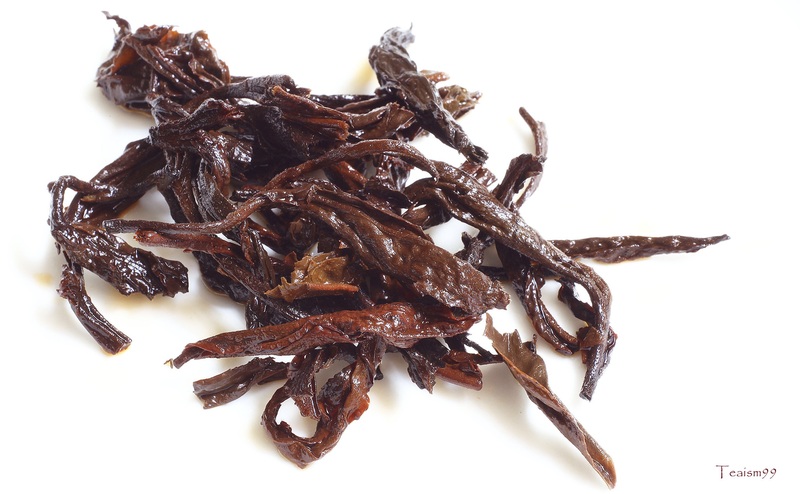 This Puer tea is said to be a spring tea from Yiwu mountain. 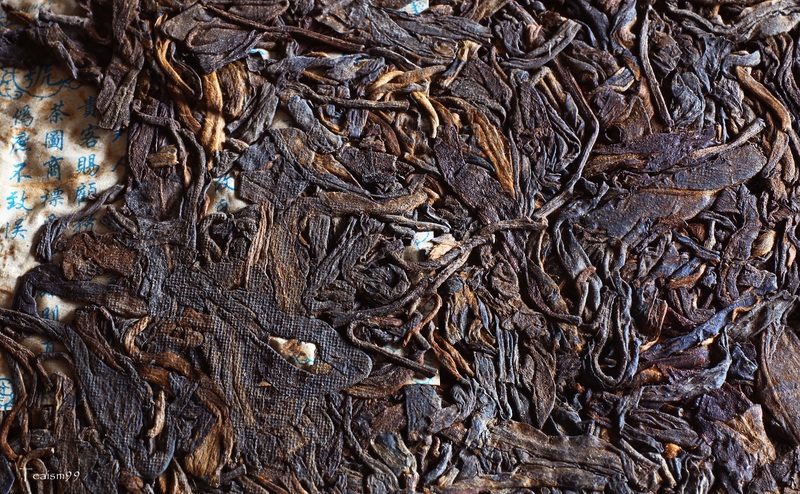 The tea leaves are consistently good quality with nice natural floral and fruity fragrance. 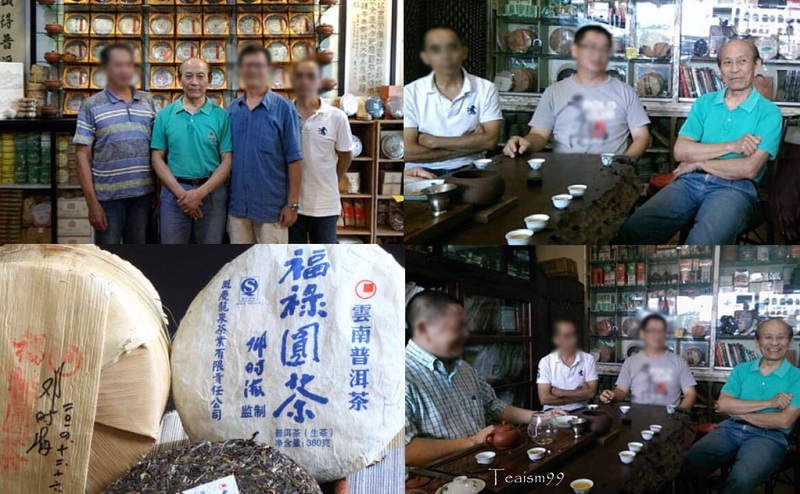 I was supposed to meet 鄧時海 Dèng Shí Hǎi for a tea session with my regular tea friends in Malaysia 2 months ago (December 2014) but unfortunately my trip was delayed. What a missed opportunity! I am sure that I will catch up with him soon as my old hometown is 15 minutes away from his old hometown and we travelled to that region often and in contact with the same tea groups there. He was kind enough to leave a tong and two extra bing of the tea produced by him in 2012 and autographed on the bamboo wrapper for me. This tea is the 3rd batch produced by him, the others were in 1996 and 2007. 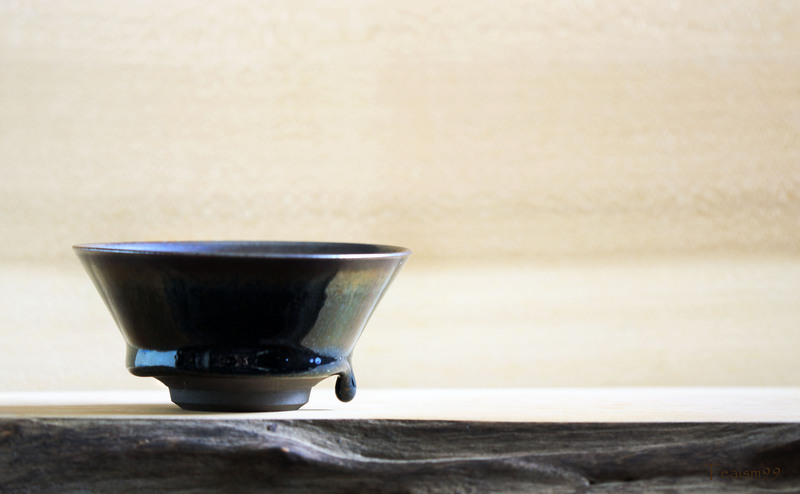 According to him this tea was inspired by the ancient Puer tea recipes and method of processing. He said that it will be the tea for the future generation to appreciate and drink. The tea leaves are blended and looks like a mixture of many types of leave. 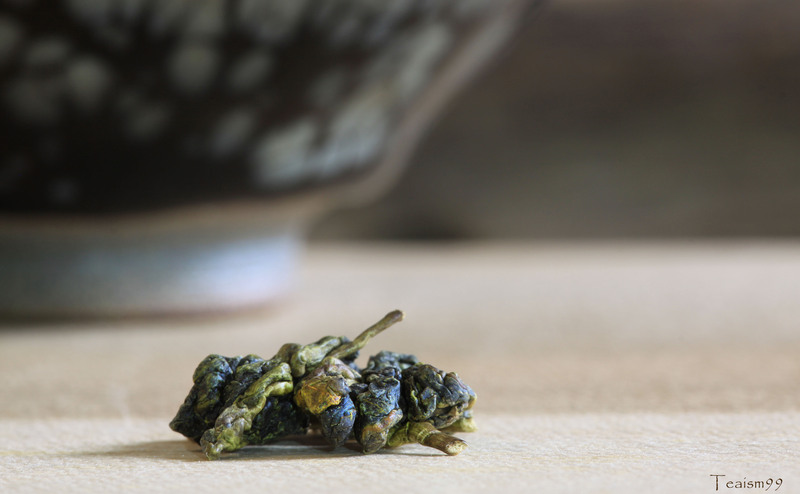 It seems to resemble what the ancient Puer tea look like. This would be an interesting tea to experience for many years to come. 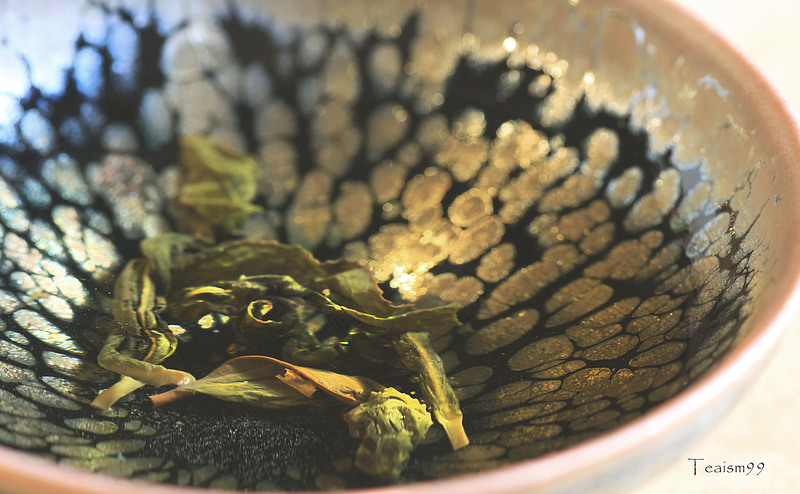 Masterclass tea is a tea that worth its’ experience for many serious tea hobbyist. 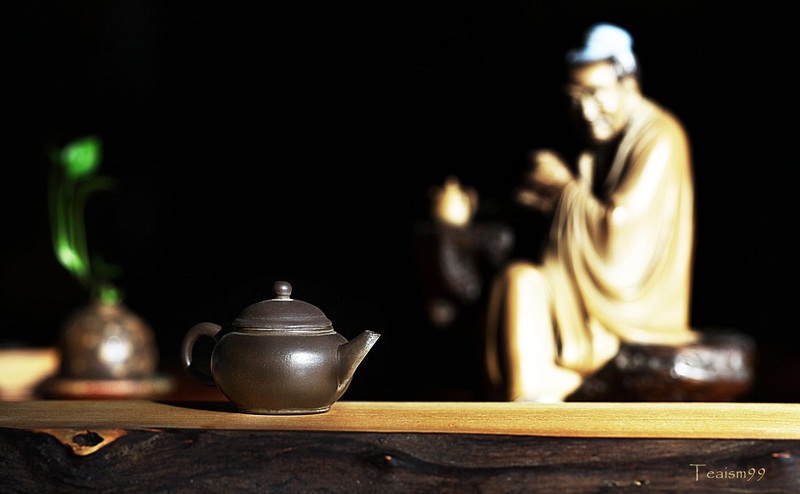 It reveals the tea expert interpretation of a good tea based on his expertise and knowledge. It may or may not be an ultimate tea but definitely worth the experience. A tea like that should be humbly appreciated for seeking understanding and experience. I certainly look forward to experience these tea for years to come by brewing them often to follow its aging and changing character. I recalled, in a very long time ago in the 1970s, an old Teamaster told me that some tea goes a very long way. A few tea leaves thrown into a big kettle would enabled the tea to be brewed for almost the whole day, pots after pots of it. Many years later, I discovered some tea with this character. I call this type of tea the “Superpower” tea. 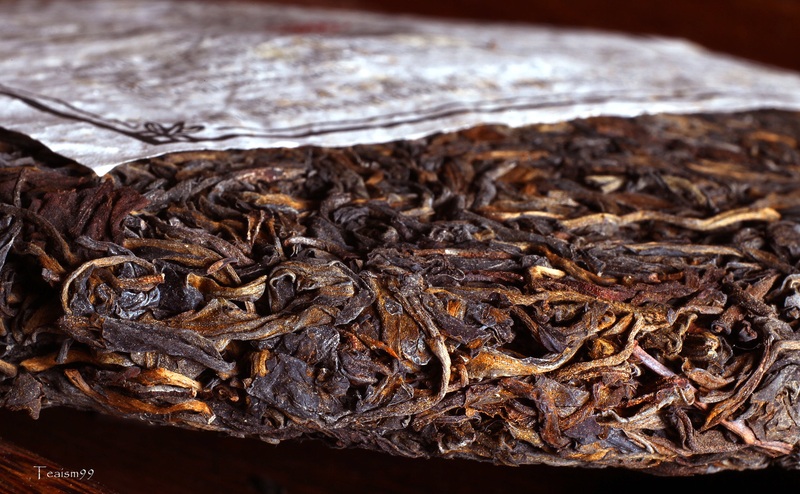 In the late 1990s and early 2000, a group of tea experts toured Yunnan to study the Puer tea in detail. They were amazed why the Chinese, being very resourceful, left the wild tea trees alone. 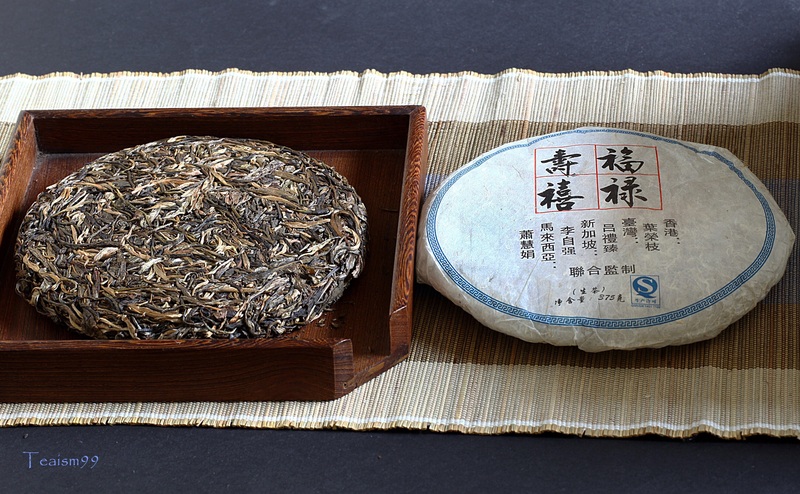 After thorough studies, they realised and concluded that only wild tea harvested in Spring is suitable to be processed into Puer tea. 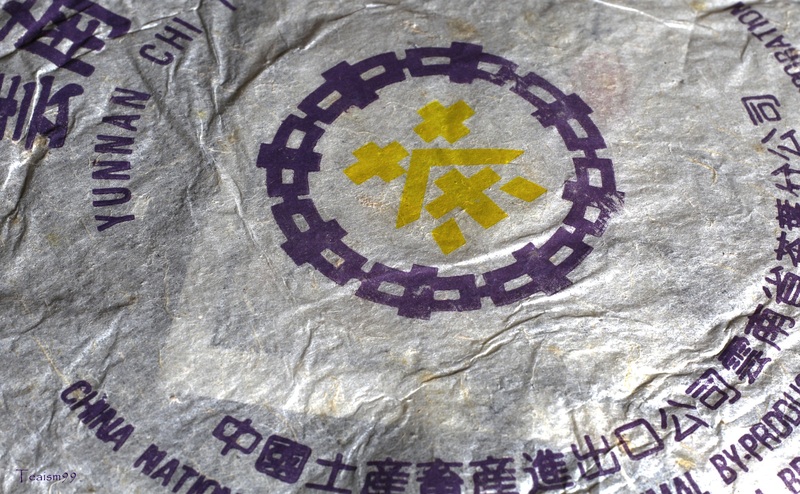 It was only around the time in early 2000, some small producer began harvesting some wild tea in the early Spring and started the wild Puer tea movement. But the Puer tea market response was lukewarm and hesitant. 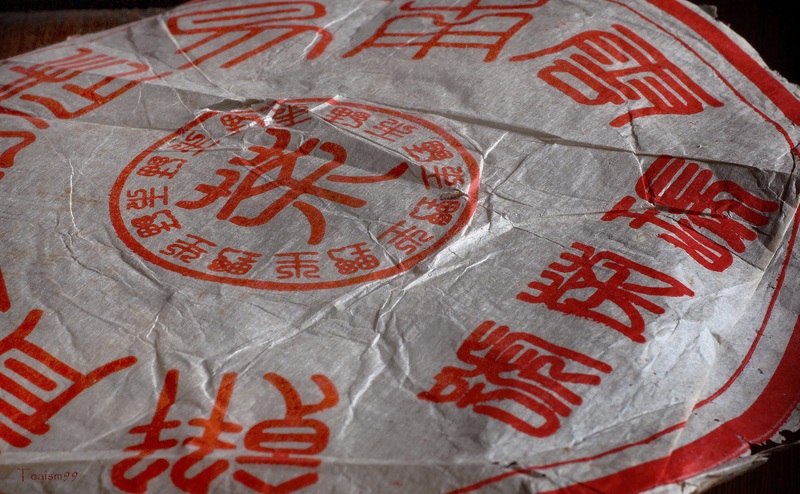 There was a lot of doubts about wild tea Puer as most collectors were more in flavour of Cultural Revolution tea and older mass market tea at that time. 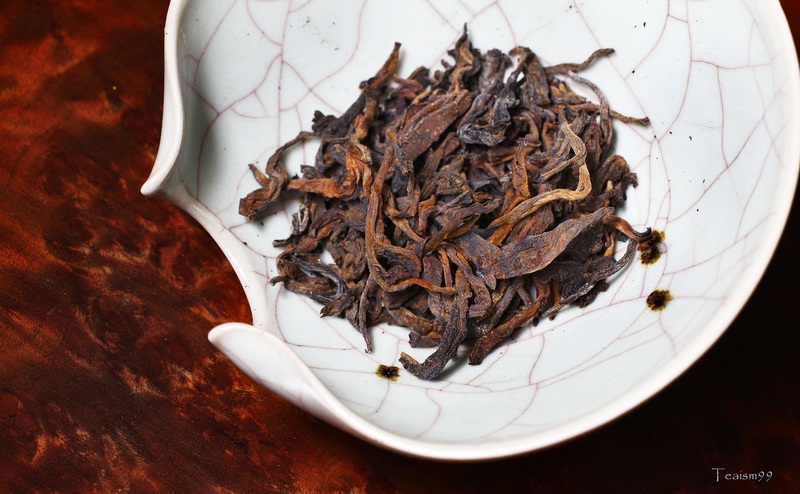 Finally, after more that a decade, wild spring tea aged to be one of the most powerful, smooth and flavorful tea and presently sought after by many Puer tea connoisseurs. 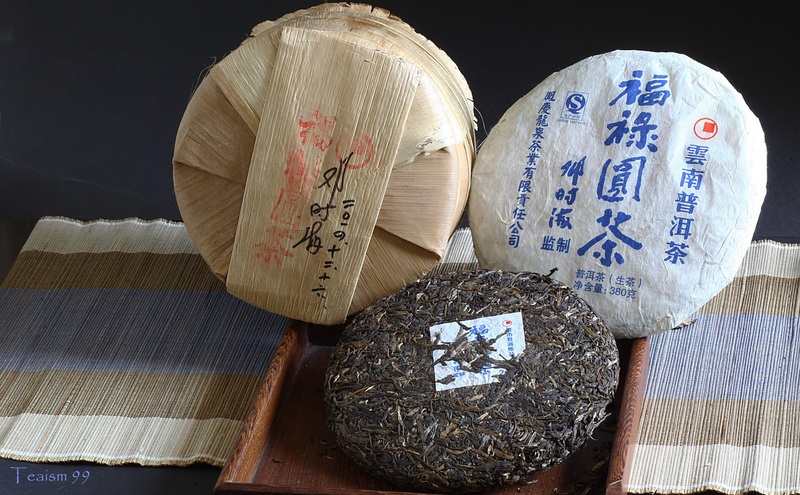 The two Puer teas that I have discovered as Superpower tea are from Yiwu mountain produced in 2001, both of them are wild spring Puer tea. It is the similar batch of tea produced by the same producer in different packaging. One of them in yellow mark Chitze and the other in the producer own label. However, not all the wild spring tea can be considered as a Superpower tea. The probability is higher for those tea harvested from the wild for the first time or a biodynamic wild or old ancient tree. The harvest has to be in very low frequency during spring and they should be well processed and stored. These are probably some of essential criterias for Superpower tea. Brewing a Superpower tea is a little bit tricky. Initially I made some mistakes brewing the tea in the usual amount which I normally used which is around 2-3gms per 120ml of boiling hot water, subject to the accuracy of my hand pinching. The tea turned out to be extremely strong and powerful to the point of being too concentrated; overwhelming in taste, aftertaste, aroma and body to a degree of being undesirable. I realised later that to express it correctly, the tea needs to be stretch widely or thinner in the brewing. The Superpower tea is like an 3 hour orchestra piece condensed into 30 minutes. So the quantity of tea leaves used is reduced drastically, perhaps to a third of the normal amount with shorter brewing time using in a bigger tea pot. 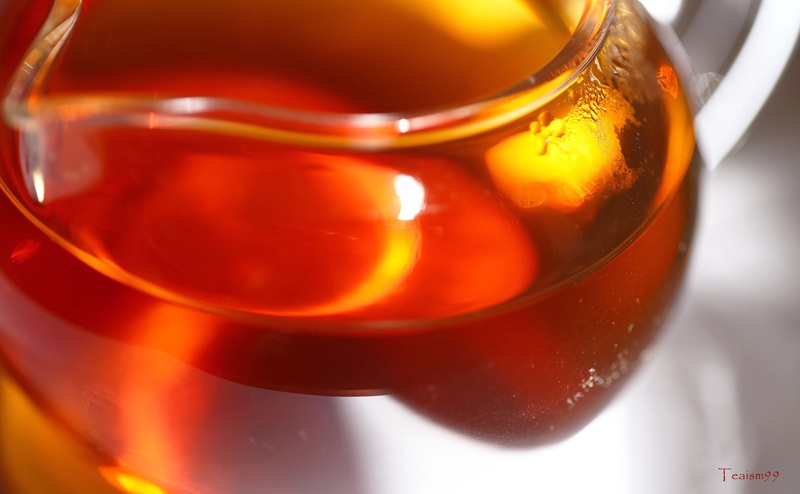 With this moderation in brewing, the tea is still very strong, full bodied, with complex aroma, smooth and flavorful, and highly desirable brew after brew. The brew transformed into a superstar tea. Superpower tea is a very high quality and rare tea. The quality of the tea may be due to a few essential criterias i.e. a very well processed and stored tea, biodynamic wild tea that are harvested in low frequency during Spring. Enjoying a Superpower tea is a real joy, it lasted brews after brews for a long time. 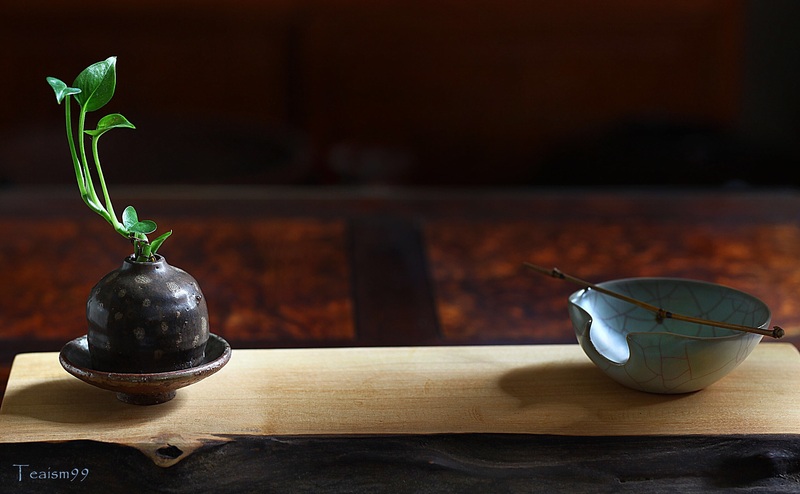 The lengthy brew makes the tea bow gracefully into obscurity and transcending the tea ceremony into a spiritual level of enjoyment. Private commissioned teapots are rare and comes in limited quantity and edition. 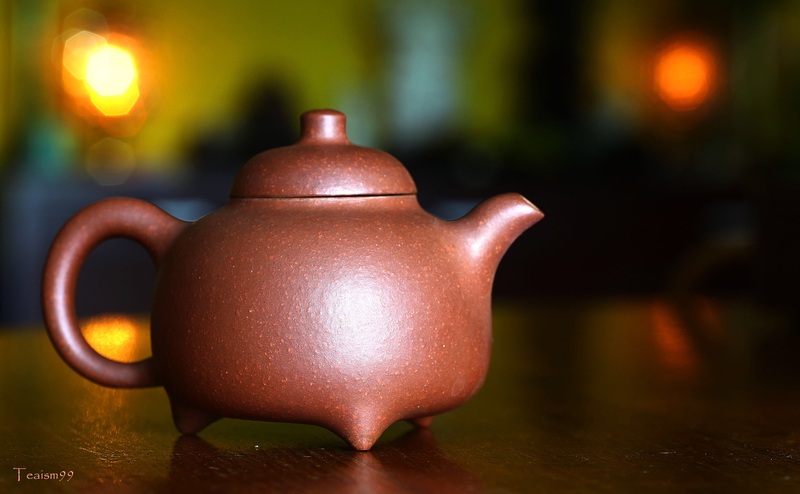 In the year 1990, 1991 and 1992, a local Singapore Chinese Tea House, commissioned Xu Shi Hai, 许四海 to produce 3 batches of teapots. 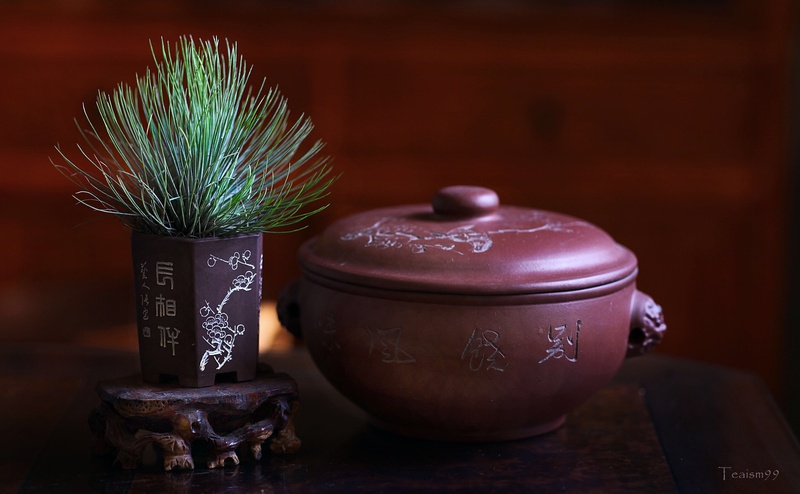 Although an outsider of Yixing, the centre for Purple clay Zisha teapot, Xu Shi Hai, 许四海 was very dedicated to the art of making teapot and carving and finally gained recognition in the city of many famous teapots artist. 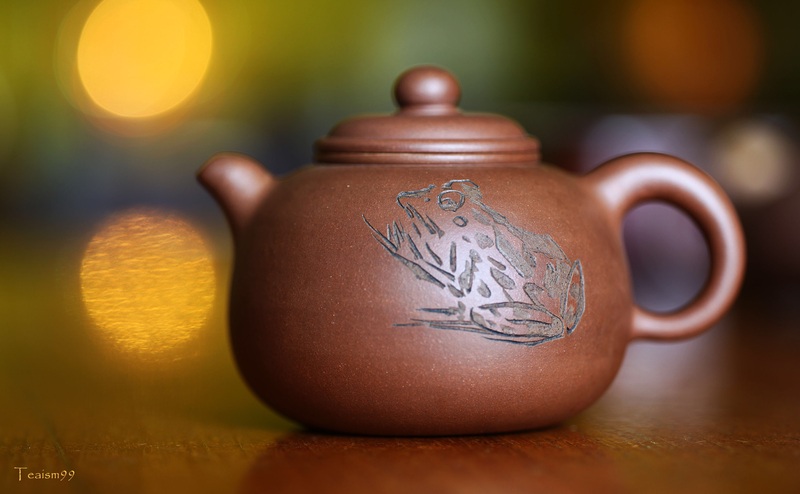 These privately commissioned teapots are made under his supervision and some of them done and carved by him personally. 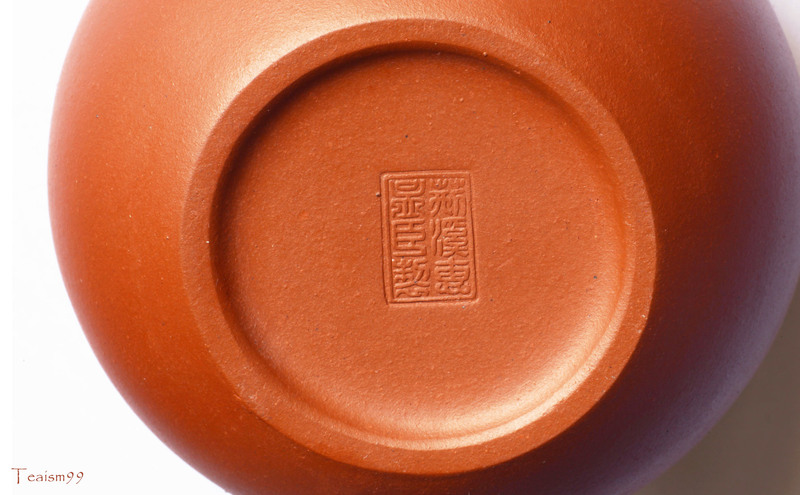 The bottom of the teapot is engraved in the Teahouse’s name together with Xu Shi Hai’s seal. 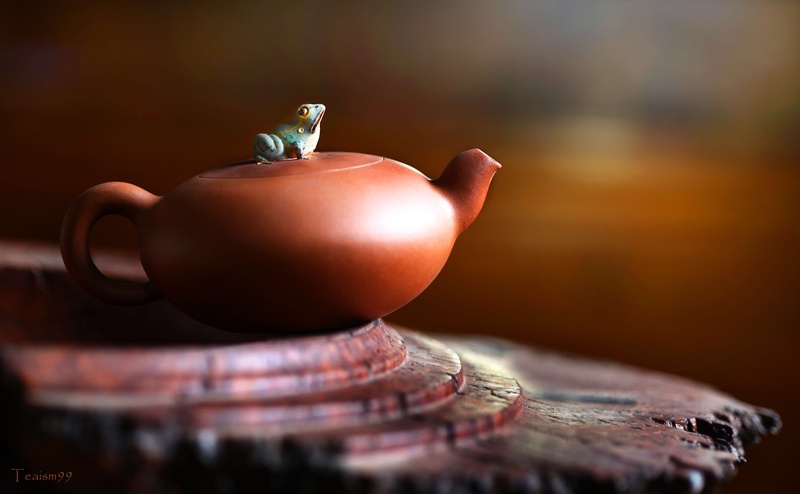 The first batch of teapots was produced in 1990 with the theme of Yuan Zhu（圆珠). It consists of three clay colors, i.e. 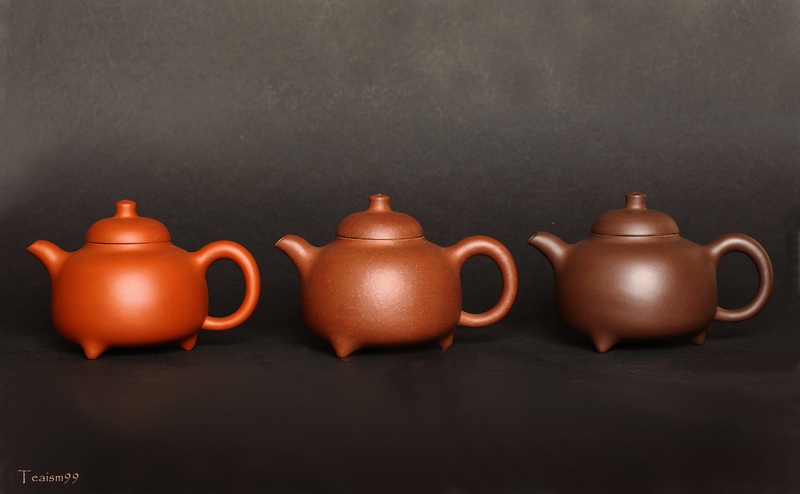 black, red and brown in the quantity of 100 teapots for each clay color. 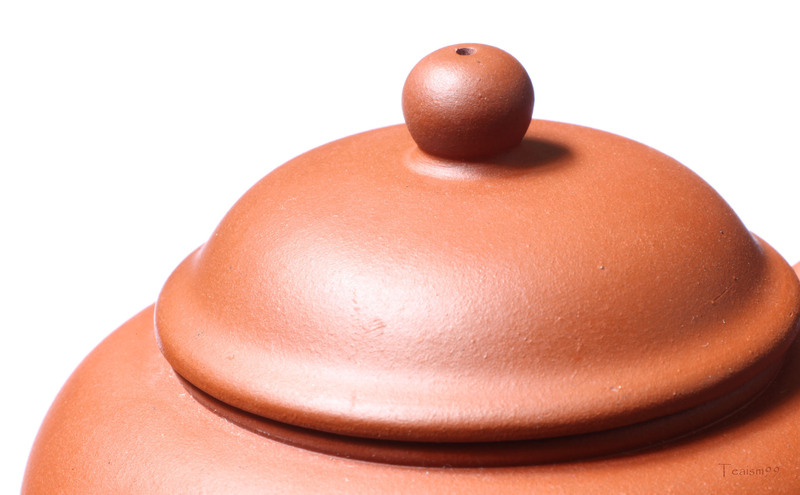 The red pot is fired in very high temperature to achieve a glass-like character and performed like a modern zhuni clay. 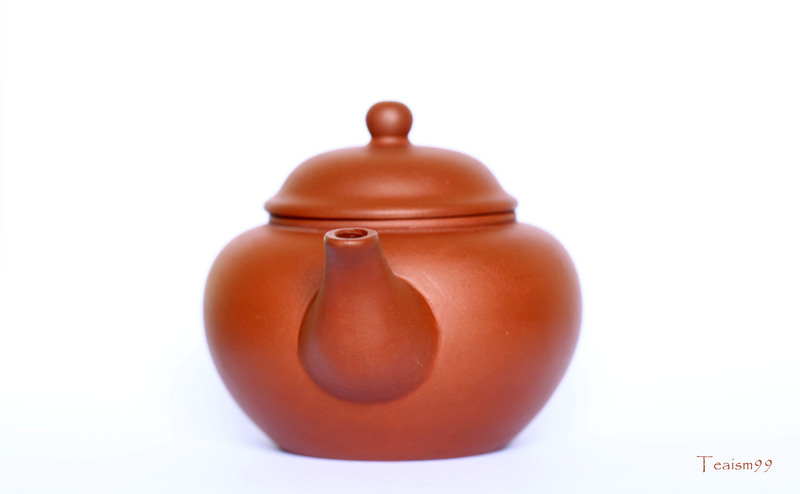 The second batch of teapots was produced in 1991 with the theme of Ru Ding (乳鼎) . It consist of three clay colors, i.e. 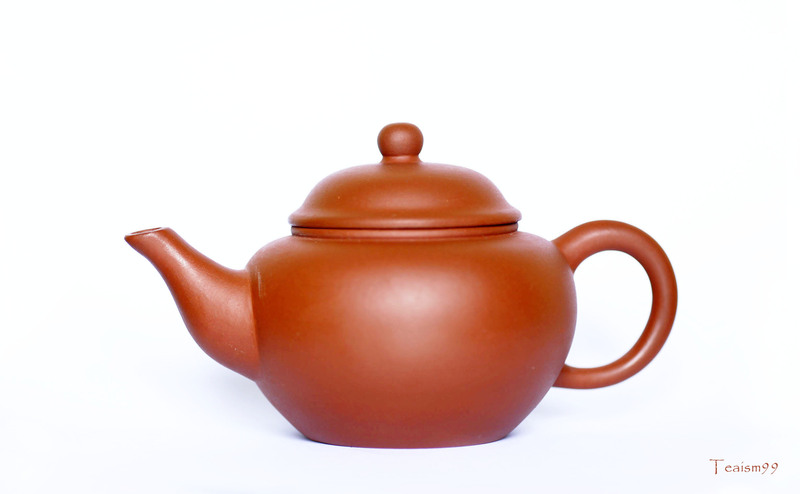 mixed clay with pear skin texture, red and brown in the quantity of 100 teapots for each clay color. The second batch was made in interesting three legged form, consistent with the cauldron theme. It is also fitted with bulbous filter. The spout is nicely expressed with fast and streamlined water pour. 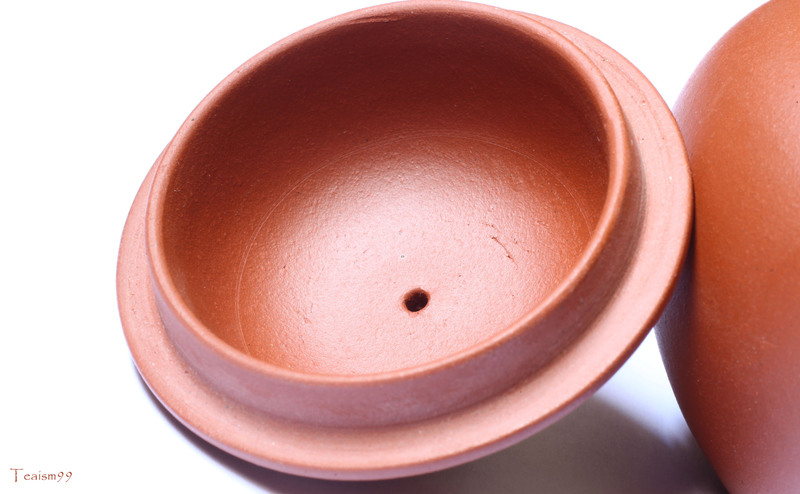 The clay is also extremely well processed with perfect firing temperature. These teapots brew tea wonderfully well, easily nurtured to shine, very robust with nice posture and character. They are one of my favorite batch of pots for daily use. The third batch of teapots was produced in 1992 with the theme of Da Dai（大呆). It consist of three clay colors, i.e. 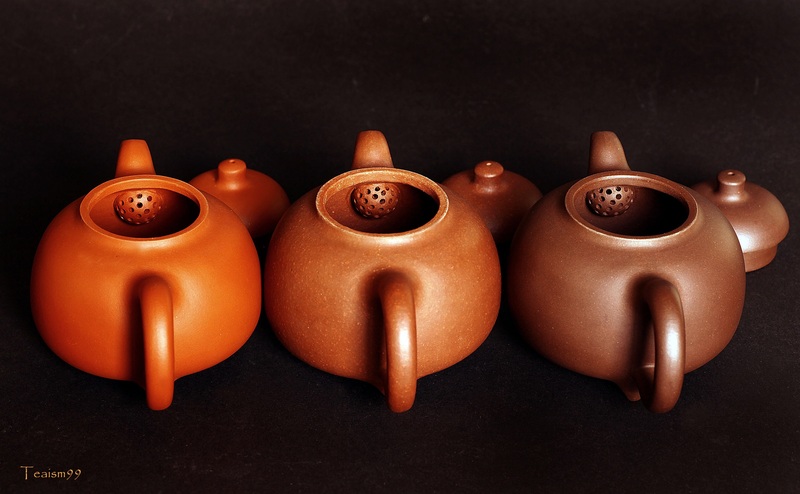 yellow duanni clay, red and brown in the quantity of 100 teapots for each clay color. 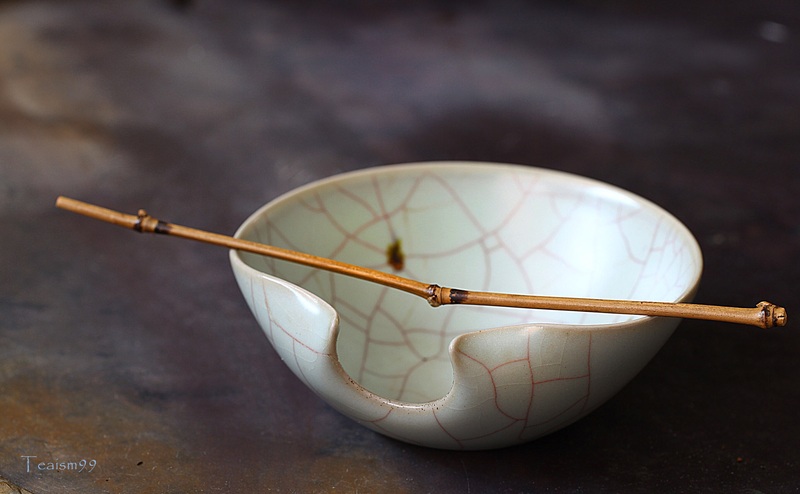 This batch is sought after as the pots are carved with different themes and calligraphy personally by Xu Sihai, 许四海. 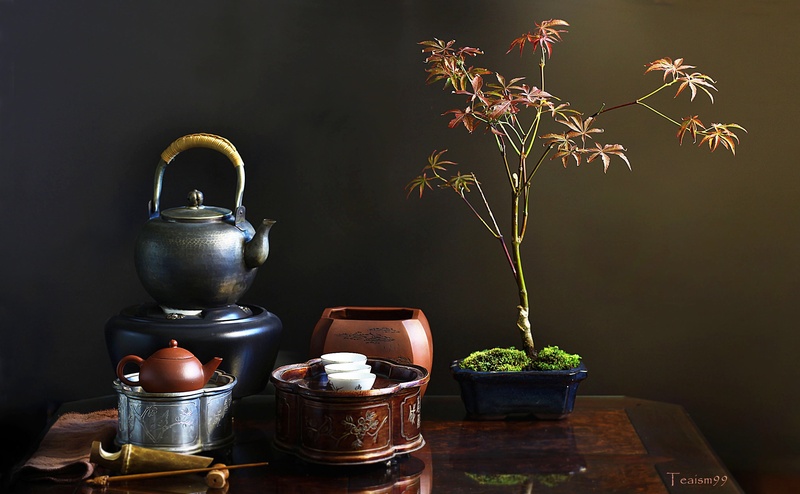 From his tutelage by his famous painter friend, Tang Yun, Xu Shi Hai has transformed the art of painting and calligraphy and expressed it dynamically in the teapots. Private commissioned teapots are rare and comes in limited edition and quantity. It was a great opportunity in the 90s as the Yixing teapots industry were privatized and the artist were still able to cater for the private commission viably. In today’s context, this commission would be an extremely big commitment in view of the rarity of real Yixing clay and also the high cost of producing a single teapot, on top of the high fee that the potter commensurate. These privately commissioned teapots editions are definitely a treasure from past and form a significant part of the history of tea culture. EDC is a common term and abbreviation for Everyday Carry. There are many instruments or tools designed for EDC e.g. multitools, torchlight, money clips or self defense tools etc. 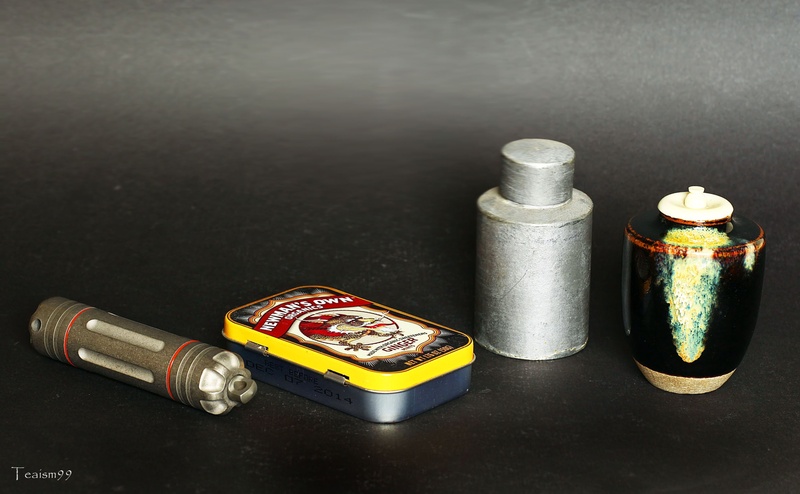 For tea, I always have a tea canister for EDC. I often refer to it as EDCT (Everyday Carry Tea). They are small tea caddies or canisters which I carry in my daily tote bag for tea survival. You never know when you need to brew a cup of tea. Sometimes when I am in the company of friends, over some nice food in a restaurant which provides brewing facilities, it is just cool just to pop out the EDCT. Or, in middle of nowhere when there is hot water available, just pull a few leaves out from EDCT and plopped it in to have a quick tea fix. EDCT caddy is really cool and they can be in many forms e.g. a recycled candy tin, a small borosilicate bottle or any canister that is easy to carry around. I have a few EDCT which I carry around depending on the situations. 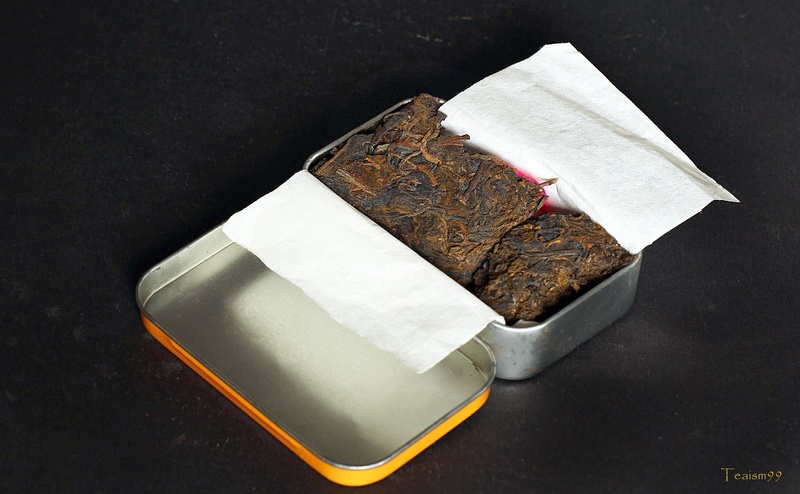 The one that I usually carry around the most is a recycled candy tin which I filled with aged Sheng Puer. 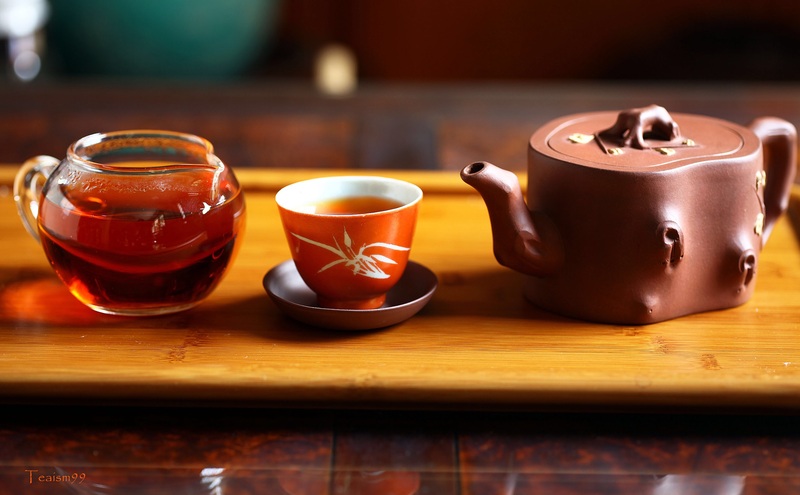 The tea is easy to brew to impress anyone familiar with tea at all level of expertise. The other EDCT which I carry is the Yancha in a small pewter tea caddy. This one comes handy when I patronize the restaurant serving local ribs soup (Bak Kut Teh) where Chazhou style brewing facilities is available. Sometimes when I visit a novice tea drinker, I like to brew a lighter tea. I would bring along a small Japanese tea caddy and fill it with wild white tea. The caddy itself is a nice art and conversation piece. The tea has subtle ethereal fragrance and milky sweetness which is appealing to a tea novice to be enticed to the world of tea. Japanese tea caddy with wild white Fuding tea. On the wild side, when I go jungle trekking or bush bashing, the titanium EDCT is always in the survival pack. Most of the time, survival tools are kept in survival capsule but for me, it is of course, tea. 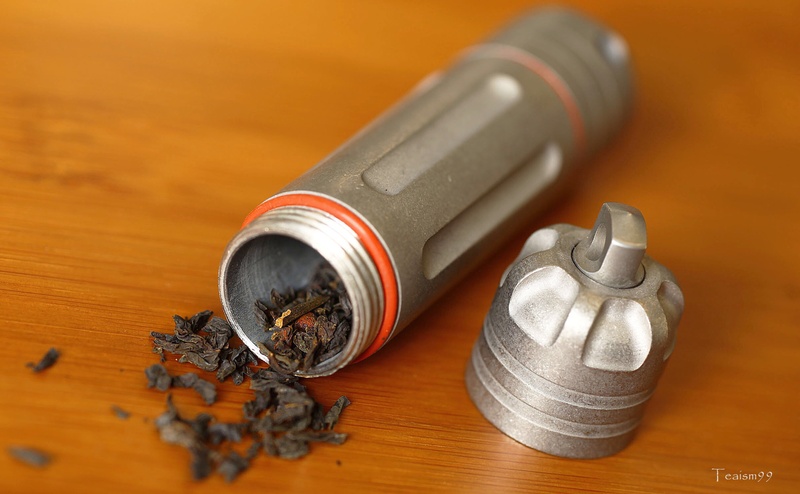 In the worst case scenario, the titanium survival capsule is used as a teapot too. I would just pour hot water into the titanium capsule and brew the tea from there! It is tea survival to the extreme. 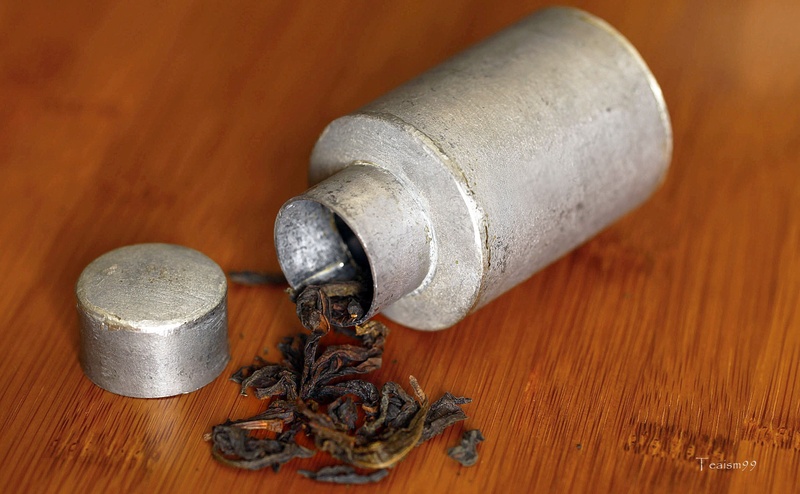 In this capsule, I often filled it up with the flower fragrance and smokey Lapsang Souchong tea. It is a nice smokey tea which come in handy in the wilderness, you never know when you need to smoke some fish or game meat for jungle survival. I carry this Titanium EDCT when I go for jungle trekking in the wilderness. EDCT (Everyday Carry Tea) is a crucial tea survival tool. Have you got one yet? 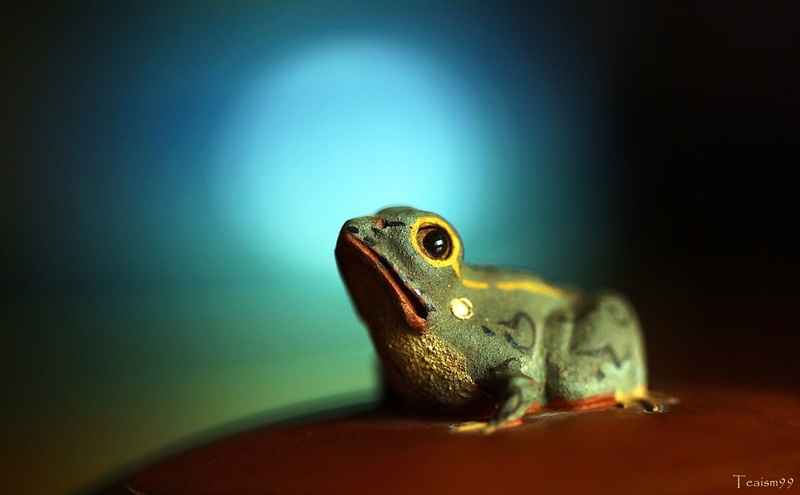 In an ancient pond, a frog leaps into the sound of water.